Sen. Bam Aquino welcomed the joint operation of media outlets and Facebook to filter and prevent disinformation and fake news spreading in the PH. 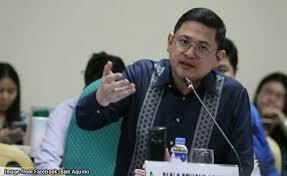 He added that the stand of Facebook to look for the lapses and take into responsibility for no other 1 million Filipino users were personal data are compromised. In the middle of Facebook controversy as Mark Zuckerberg, CEO and owner have resistance to disclose the dynamics of the system and advertisements security in peril during the congressional hearing in the US. This related to the fall when a data breach was allegedly hacked by Cambridge Analytica, comprising millions of users where security and identity were compromised and were used illegally, example the US Elections Trump won the race.